All individuals hope to age gracefully. In the case of the incomparable Paul Simon, doing that very thing as an artist is an additional admirable accomplishment in an already brilliant life. Simon, who turns 77 on October 13, has chosen to wind down his career as a musician and performer. As he reaches the end of his final tour, dubbed “Homeward Bound - The Farewell Tour,” Simon has released a new album, called In the Blue Light, that provides him with the opportunity to look back at some of his older songs and rework the original versions. By treating these songs like early drafts that were always in need of additional fine tuning, Simon revisits his past and changes what he felt was left askew. He writes in a press release that the album “consists of songs that I thought were almost right, or were odd enough as to be overlooked the first time around.” In the Blue Light collects ten songs first released between 1973-2011. While the song selection is evenly split between pre-2000 albums and 2000 to the present, Simon dwells mostly on 2000's You’re the One, with four songs from that album appearing on In the Blue Light. The remaining six selections consist of one song each from his second post-Simon & Garfunkel solo album, There Goes Rhymin’ Simon (1973), the 1976 Grammy-winning Album of the Year, Still Crazy After All These Years (1975), One-Trick Pony (1980), Hearts And Bones (1983), The Rhythm Of The Saints (1990), and So Beautiful or So What (2011). Wynton Marsalis adds exquisite trumpet to the dreamy jazz of “How the Heart Approaches What It Yearns” and returns to help turn “Pigs, Sheep and Wolves” into a New Orleans stomper. “Darling Lorraine” and “Questions For the Angels” are two of Simon’s more recent gems that shine simply by being given a second opportunity to be heard. Dotting the album are performances from jazz legends such as Bill Frisell (guitar), Steve Gadd (drums), John Patitucci (bass), Jack DeJohnette (drums) and Joe Lovano (saxophone). Also featured is Simon’s wife, Edie Brickell, and his late, longtime guitarist, Vincent Nguini, who passed away in December 2017. Simon turned to his friend Roy Halee, to co-produce In The Blue Light. Halee, who first worked with Simon fifty years ago on Simon and Garfunkel's Bookends, had come out of retirement a few years ago specifically to co-produce Simon’s last album, 2016’s Stranger To Stranger. Although he is retiring from touring, Simon hasn’t indicated whether In the Blue Light will be his final album or not. If it were to be his swan song, it's an exquisite marker showing how this master musician takes an old song, completely redesigns it, and tranforms it into new art. At this later stage in his life, Simon is still at his artistic peak. That is the essence of aging gracefully. 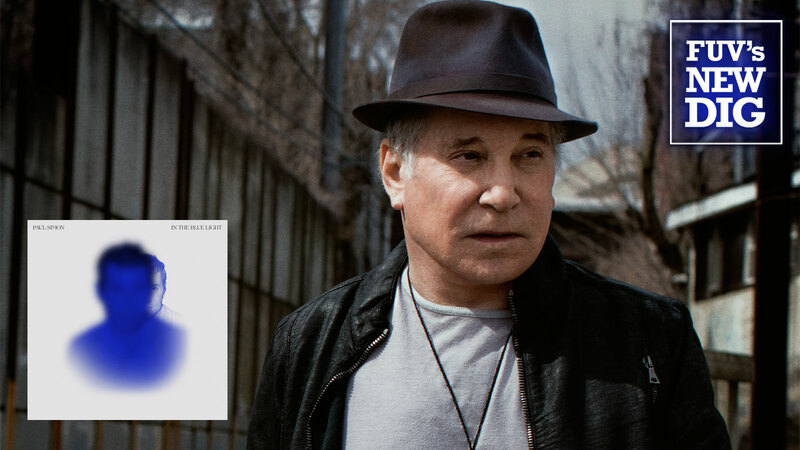 Paul Simon concludes “Homeward Bound: The Farewell Tour” with three final New York City shows on September 20 and 21 at Madison Square Garden and “Homeward Bound: The Farewell Performance" on September 22, in Flushing Meadows Corona Park.